I have never attended the Olympics while the games were actually played, but I have been to several of the Olympic locations where they have been held. I am always amazed how much investment is made into building the infrastructure of a city for games that last for only a few weeks. It seems each city tries to outdo the prior ones with memorable architecture and structures and that is why I like visiting these locations. On our trip to Barcelona, the site of the 1992 Summer Games, we made it a point to visit the Olympic complex. It is a really cool place. One of the iconic structures that was built in preparation for the games was this Communications Tower that was built to televise the events. 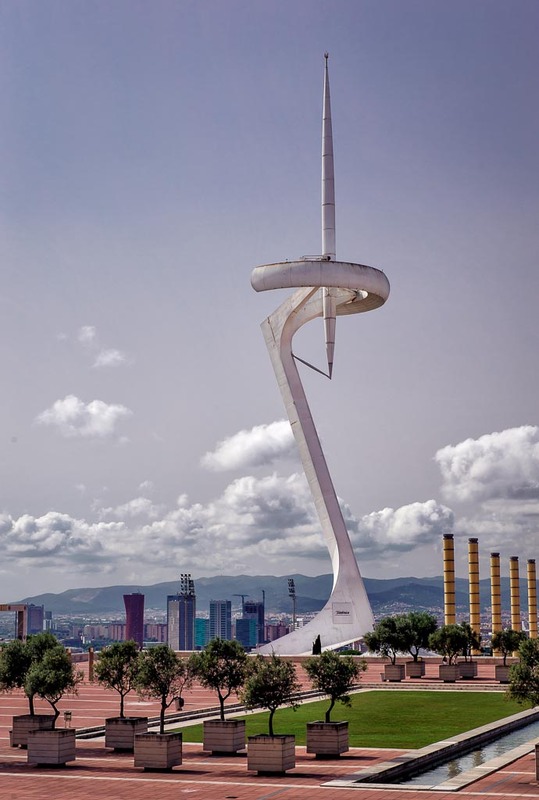 The tower was designed to look like an athlete holding an Olympic Flame. It also acts as a sundial, which uses the square below to indicate the hour.